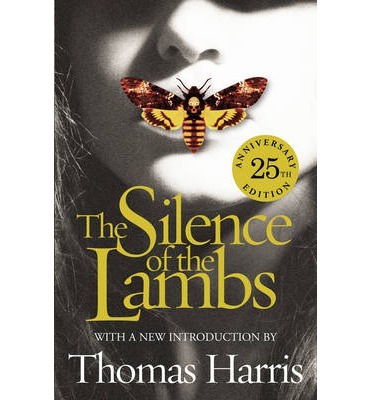 What is most significant about this 25th anniversary edition of The Silence Of The Lambs, apart from the fact it was first published in 1989, is that its cover is taken from the poster of the movie, which appeared in 1991. This is appropriate because it was Jonathan Demme's film which propelled Thomas Harris' novel into the consciousness of the mainstream, and along the way turned Hannibal Lecter into a franchise. This is not to demean Harris' accomplishment as a novelist. Re-reading Silence shows immediately how influential the book (and the film) have been—serial killer tropes merely touched on here have sprawned a thousand copycat imitators. Even better, the novel itself does more than hold up, on re-reading it is just as taut and involving now as it was then, even given one's familiarity with the story. The greatest insight a re-read provides is the recognition that the story is not about Lecter, nor about Jame Gumb, nor about Gumb's victims. 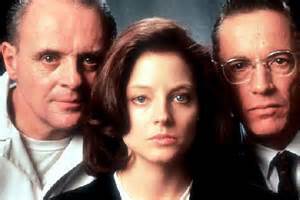 In fact, Gumb's story is a parallel shadowing of the book's main concern, which is Clarice Starling. The lambs that need to be silenced are, after all, hers; and the book is about her growing into a new role, undergoing a metamorphosis just as total as the one Gumb desires but can't actually accomplish, just as surely as if she were one of Gumb's moths. Hence her name, Starling, with its connotations of baby birds (ducklings, goslings). Both Jack Crawford and Lecter (a name with overtones of lecture, lectern; Harris' names are almost Dickensian) himself see something in Clarice (which means bright, brilliant, clear) that is there to be developed. The moment comes when Clarice is freezing Dr Chilton out of her key interview with Lecter at the hospital, and he lets slip he has 'a ticket for Holiday On Ice'. In a flash Clarice has apprehended his utter pathos; it's as if she's turned a toggle switch in herself. She reads him the way Lecter reads people, the way Will Graham or Crawford try to inhabit and understand. Jodie Foster captures this on film, inhabiting the role in what may well be the best performance of her fine career. It's also important to mention the film because Harris was so well served by the early films of his books. Black Sunday is if anything a better thriller as a movie than a novel. And Michael Mann's 1986 film of Red Dragon, the first 'Lecter' novel, I think may well have had more impact on Harris than is recognised. What's crucial here is shown by the film's change of title, to Manhunter., which signals the fact that, as in Silence, the central character is the investigator. For Michael Mann the central story is Will Graham's struggles with his own abilities, which threatens his ability to have a relationship. As with Clarice and Jame, Graham's inner struggles paralled those of the Tooth Fairy's, whose own drives affect his ability to have relationships, until he meets someone literally blind to his 'fault'. Manhunter wasn't a hit, although it is a brilliant adaptation. Compare it to the more faithful, but also more lackadaisical Red Dragon, where, for example, Graham captures Lecter because he's read a note Lecter's written for himself in his Larousse, translating riz de veau as 'sweetbreads'. As if Lecter would need to remind himself. Some of Manhunter is reflected in Silence, particularly the way Tom Noonan's performance as Francis Dollarhyde is echoed in Ted Levine's Gumb, and in the way the lighting is both dark and brash. But note some of the differences, particularly in Jack Graham, from Dennis Farina's upfront macho to Scott Glenn's more inward strength. I do wonder if perhaps Harris' original intention was, in the wake of the death of Crawford's wife, to have him and Lecter be, in effect, in competition for Starling, two older men chasing the same prize. But the biggest difference between Manhunter and Silence may be in the Lecters. 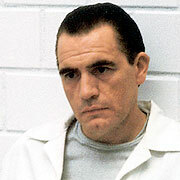 In many ways I prefer Brian Cox, who seems more dynamic, perhaps more threatening, certainly moreso sexually. But beneath the more obvious surface acting, Anthony Hopkins captures something Harris just touches on, in one description of Lecter's body 'arched like a dancer'. Hopkins' performance is all about that precise physical control, which echoes the mental control which defines him. This is another way the movies seem to have influenced the books, because in the film Silence Lecter took centre stage, and became the audience's focus. In the first two novels the grand guignol of his character is far less interesting than his effect on both killers and cops; he's more like a horror version of The Shadow. Though I recommend a re-rereading, this new edition is also worthy for its new introduction by Harris himself, in which he details some of the inspiration for Lecter, which he found in a Mexican prison, while interviewing an American serial killer for Argosy magazine. And he also explains why this is the 25th anniversary of the novel, of the moment when he finished it, wanting the reassurance of the presence of those he loved, and the memory of the moment when, as a child, he killed a bird and wept. The other thing Silence is about is empathy, and Harris doesn't let us forget it.